...a dependable record maker who will always make music worth checking for, no matter what else is going on around him. Perhaps best known as one half of multi-platinum, polaroid picture-shaking duo Outkast, multi-talented Georgia-born rapper, songwriter, producer and actor Antwan Andre Patton AKA Big Boi has also shaped the face of modern American hip hop as a solo artist as well as in collaborations with the likes of Missy Elliott, Trick Daddy and Janelle Monae. 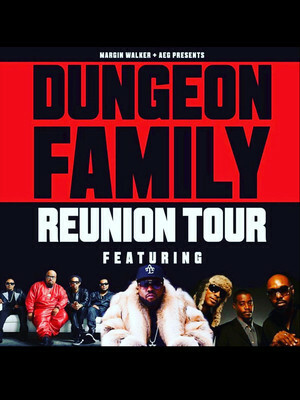 Following a titillatingly short appearance at the 2019 Super Bowl Half Time Show, Big Boi hits the road with members of the Atlanta collective Dungeon Family on the Dungeon Family Tour. 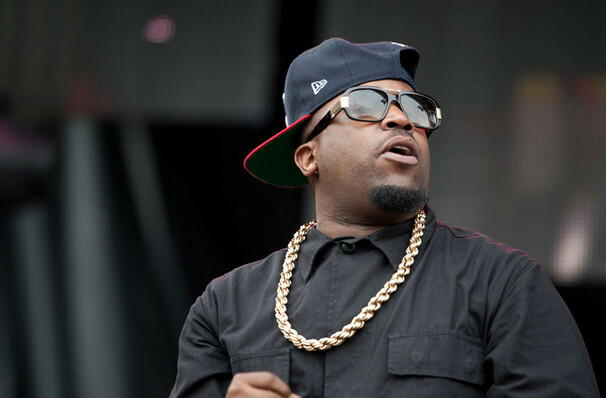 Unbothered by modern trends, Big Boi's considerable solo offerings center around his rapid-fire witty wordplay, fusing jokes, insights, wisdoms, insults and confessions with heady beats and retro samples. His last offering Boomiverse, released in 2017, was a delectable 80s throwback compilation of glitzy bangers that bore references to electronica and house. In 2018, he followed up with the high energy dance floor-filling smash hit all night, proving he's nothing if not ahead of the game. About Atlanta Theater: We are an independent show guide not a venue or show. We sell primary, discount and resale tickets and prices may be above or below face value. Seen Big Boi? Loved it? Hated it? Help your fellow Atlanta Theater visitors by leaving the first review! Sound good to you? Share this page on social media and let your friends know about Big Boi at Fabulous Fox Theater. Please note: The term Fabulous Fox Theater and/or Big Boi as well as all associated graphics, logos, and/or other trademarks, tradenames or copyrights are the property of the Fabulous Fox Theater and/or Big Boi and are used herein for factual descriptive purposes only. We are in no way associated with or authorized by the Fabulous Fox Theater and/or Big Boi and neither that entity nor any of its affiliates have licensed or endorsed us to sell tickets, goods and or services in conjunction with their events.